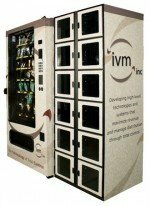 GERMANY Deutschland Vending Machine Companies, offering Vending Machines: Snack, Soda, Drinks, Food, Deli, Healthy vending machines, Micro Markets, Amusement Games, parts repair services for your breakrooms! These vending companies are listed in alphabetical order by company name. The Geldkarte is already the number-one method of payment in the vending industry. Many vending machines that dispense hot or cold drinks, confectionery and snacks already take the card: hungry and thirsty customers can pay at these machines at their place of work, at stations and airports, or at many other public places (universities, museums, swimming pools) without having to search for the right coins. Gebruder Gauselman – Regional installation of coin-operated AWP and amusement machines in catering establishments; second operation in Oelde since 1967.